The next novel from author Bryce Zabel, whose debut, Surrounded by Enemies: What if Kennedy Survived Dallas? won the coveted Sidewise Award for Alternate History. We all know the tragic story by now. After seven years as the most popular rock-and-roll group the world has ever seen, the Beatles - torn apart by personal and creative differences - called it quits in 1970, never to play together again. The fact that their contemporaries like the Rolling Stones are still playing today makes their ending even more painful. 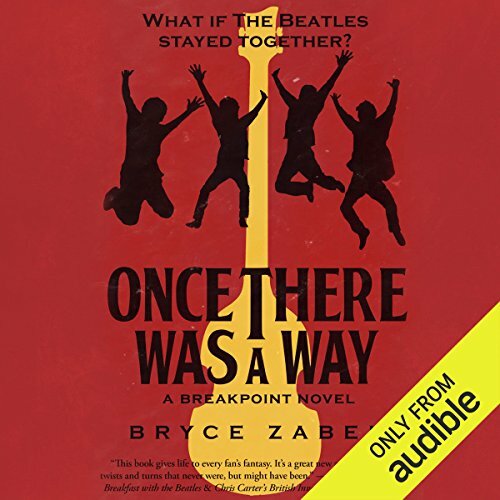 ©2017 Bryce Zabel (P)2018 Audible, Inc. I know a lot about the Beatles, and this book was both gratifying and surprising. It feels so real that you will be amazed at how this author has seamlessly woven this amazing story. The story, the details and the love that has gone into this will just blow you away! Give this a chance! I read a lot of alternative history, and was skeptical this 50-year retrospective on a Fab 4 that never broke up could work. But Bruce Zabel pulled it off. The point of departure (Jonny Carson returning to New York for John and Paul's appearance on the Tonight Show) was imaginative and effective. Zabel wasn't afraid to speculate but kept the flights of imagination grounded in plausibility (mostly). At the end, I found myself genuinely feeling nostalgic for a vivid exit from a 1975 stage that never happened! A clear sign of effective Alt-Hx. Note: it does help a good bit to be a solid Beatles fan.